Each year the “Click It or Ticket” campaign launches across the state of Louisiana. May 19, 2014 marks the beginning of this year’s campaign, which will run through June 1, 2014. The campaign serves as seatbelt enforcement for motorists across the state. 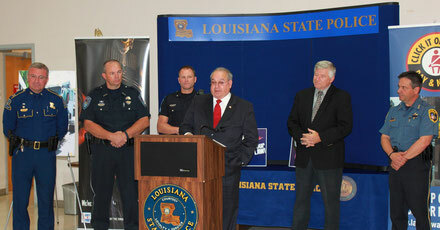 The 2014 campaigned kicked-off Friday at the Louisiana State Police, Troop D Headquarters. 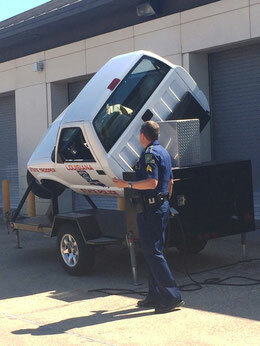 The Lake Charles area recorded the highest seatbelt usage rate in the state at 91 percent in the past. Behind Lake Charles was the Houma area at 85.5 percent. District Attorney John DeRosier says the seatbelt usage across the state and the nation has been a “culture change,” from an era of motorists without seatbelts to an era of motorists with seatbelts.